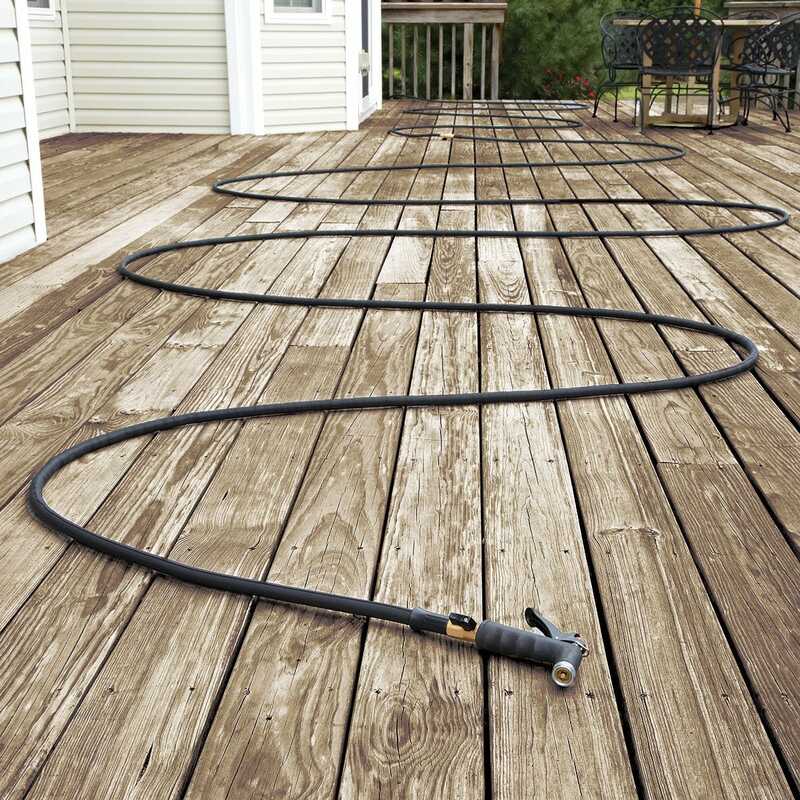 Weighing just a couple of pounds, the patented Expanding Garden Hose Pro is lightweight and kink-free as it expands. 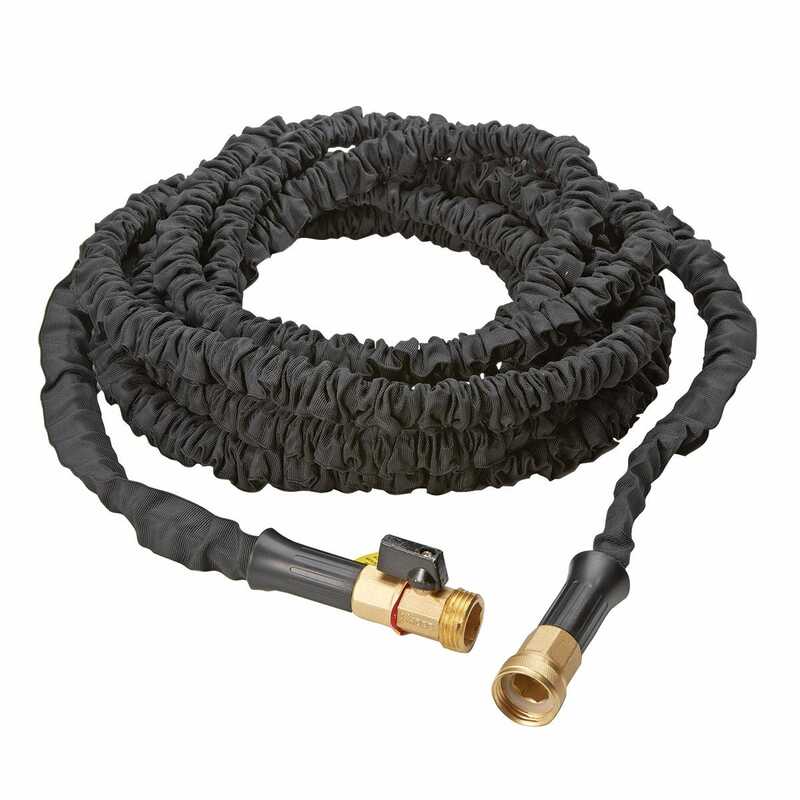 Features solid brass fittings and all new stabilizer collars to reduce stress if the hose is bent at the fittings. Now covered by a new multi-layered DAC-5 fiber webbing that is stronger than ever! Turn on the water and it expands to three times its length; turn off the water and it contracts to its original length making it easy to store. 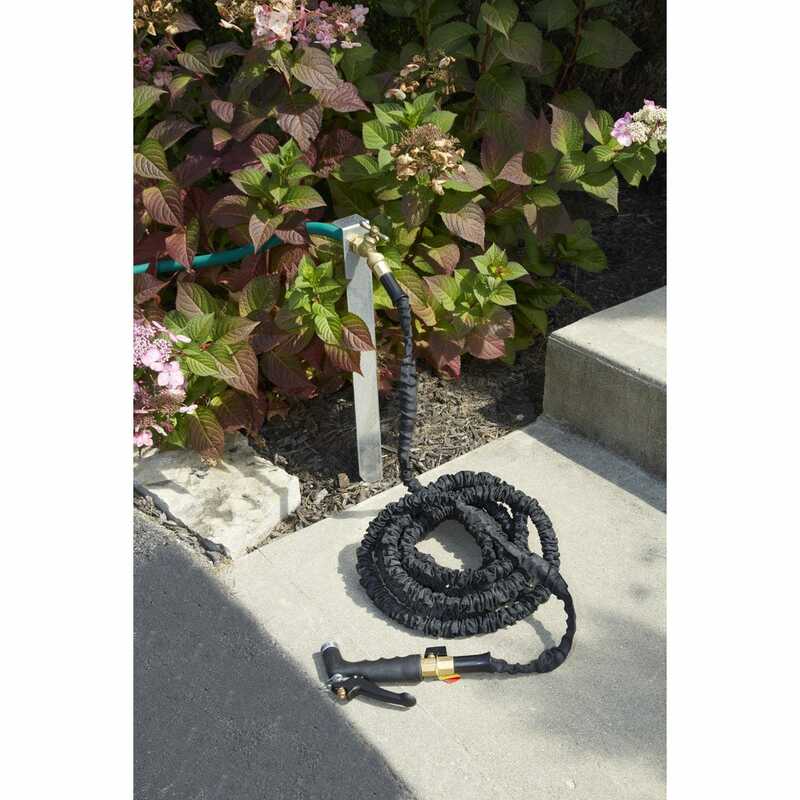 Ideal for watering flowers and landscaping, washing your car, hosing off sidewalks, and watering your lawn. 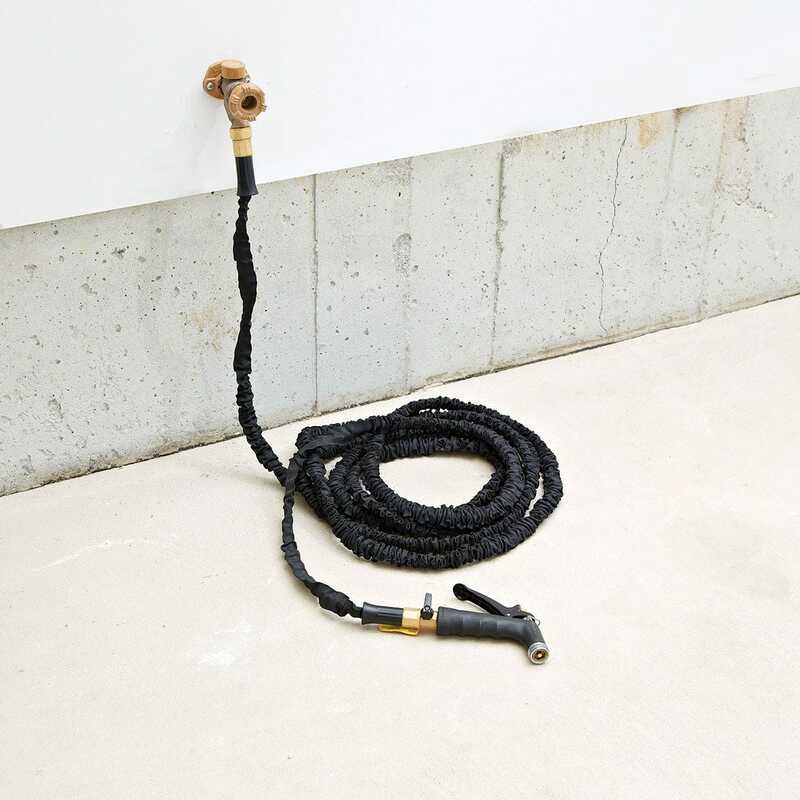 Also available, our Comfort-Grip Hose Nozzle is rugged and has a three year warranty.